Please refer to our stock # 1391pr when inquiring. 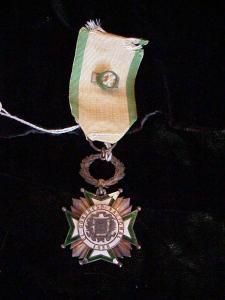 Order of Trujillo, enamel and silver, El Congreso Nacional 1938. 4.5" with ribbon. Ribbon has rossette. $475.